The Cantor stewards the musical and liturgical gifts of the entire Gustavus community, building relationships with musicians and worship leaders and calling forth their gifts for the sake of planning and leading worship and events in Christ Chapel and around the campus. As a member of the Office of the Chaplains team, the Cantor works collaboratively with the Chaplains, students, and Music Department faculty to create faithful and beautiful worship and learning experiences for the entire Gustavus community. 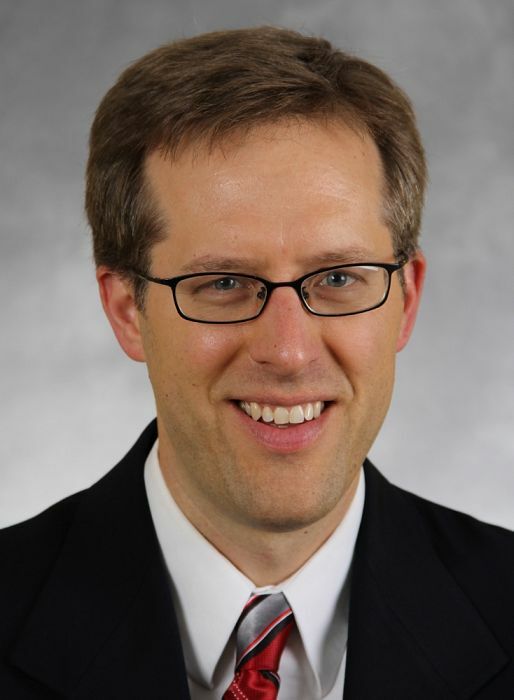 Dr. Winterfeldt holds a bachelor of music degree in organ performance from Concordia College, Moorhead, a master in music degree in organ performance from Yale University, and a doctor of musical arts degree in organ performance from the University of Nebraska-Lincoln. He is the recipient of numerous award and fellowships, including the Charles Ives Prize for an outstanding major in organ playing at Yale and the UNL Humanities Center Award for Graduate Research or Creative Activity from the University of Nebraska-Lincoln. An accomplished performer, Dr. Winterfeldt has given more than fifty solo organ recitals around the country. He has served as Dean of the Sioux Trails Chapter of the American Guild of Organists and is currently the District Convener of the American Guild of Organists, Minnesota Region VI. In addition to his duties at Gustavus, Winterfeldt has recently served as Director of Music at First Lutheran Church in St. Peter. Gustavus Chaplains Siri Erickson and Brian Konkol were pleased with the group of accomplished candidates that applied for the position from across the country and said that Dr. Winterfeldt rose to the top during the search process.